Providing you the best range of marriage, married life and children (reader iv) books, jyotish ke addharbhoot siddhant kp, astrology for beginners 1-6 volumes, astro secrets and k.p. part vii timing of events, kp krishman's tables for houses for natal and kalamsa & cuspal interlinks theory with effective & timely delivery. 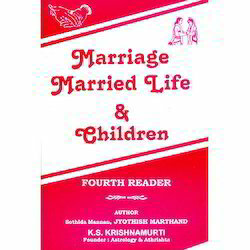 We offer Marriage, Married Life And Children (Reader IV) Books to our clients. We offer Jyotish Ke Addharbhoot Siddhant KP to our clients. 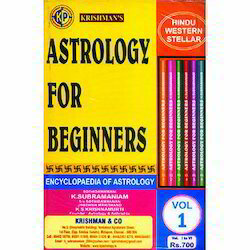 We offer Astrology For Beginners 1-6 Volumes to our clients. We offer Astro Secrets and K.P. Part VIITiming of Events to our clients. 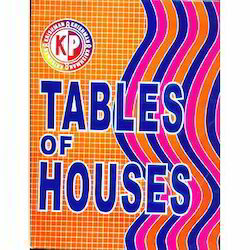 We offer KP Krishman's Tables for Houses for Natal to our clients. The theory of this book is the outcome of the sincere dedicated research of the author in the field of astrology .It is in tune with the navamsa and nadiamsa concept of Nadi astrology. The aspiring reader will doubtless find it a exposition of sound techniques of predictive astrology. 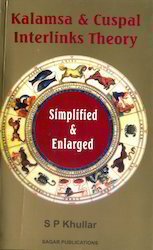 It is the author’s magnum opus and superbly illustrates the true value of the sacred science of Astrology. How to analyse the horoscope to determine what is promised for the native for all walks of human life has been explained in simple and scientific way. Timing events and use of transits are often thought of as complex and incomprehensible. It is dealt in very clear, practical and illustrative way. It can in no way be taken as unequivocal dogma.All that the reader needs is an accurate horoscope. This is a rare book on birth time rectification. It is based on the philosophy that human being essentially consists of body, mind and soul. The astrological birth time of each individual is specific. It is defined as that when the incarnated soul takes possession of the body. It defies the capability of the doctor to note it correctly. It is the responsibility of the astrologer to construct the true horoscope of the individual that should simulate conditions to reflect his genetical connections, individuality, personality and the complete life pattern. 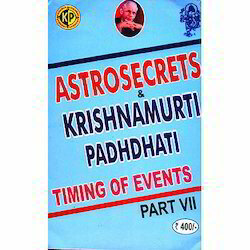 How an astrologer can do it has been explained in this book in simple, lucid and scientific manner. The reader will find this book to open new vista both in the field of predictive astrology and rectification of birth time. 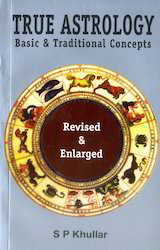 This book is not a conventional and obtuse book on astrology.A person who accepts astrology as a dynamic, wonderful, majestic, practical and humanistic science has written it. To him astrology is, at bottom, a criticism of life. It is written in a simple and most scientific way. With a little dedication a reader can master the techniques of analyzing a horoscope. Chapter on Navamsa and its significance needs special attention even of experienced astrologers. The book is intended to prepare the readers to comprehend the advanced predictive techniques using Kalamsa and Cuspal interlinks theory. 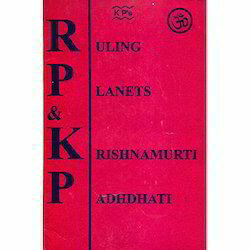 We offer Ruling Planets and K P to our clients. We offer Upanakshatra Jyothisha to our clients. 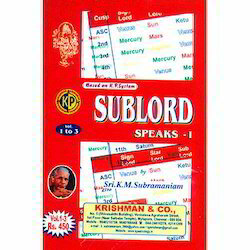 We offer Sub Lord Speaks 3 Vols to our clients. We offer KP and Astrology Books 2016 Year to our clients.